Oh, Popular Fidelity, the stories you give me to write. I must say that I know as much about physics as I do about the mating rituals of pygmy tribes in the rainforest. Which means, not a heck of a lot. With that said, in the subculture of our world, I’ve been given the opportunity to write a great deal this week about inventions and how they impact our world. Those small things that have real results that don’t make the front page. But when they do, they change the landscape of our society. And this machine developed that throws the theories of perpetual motion into a new level has to be a doozy. 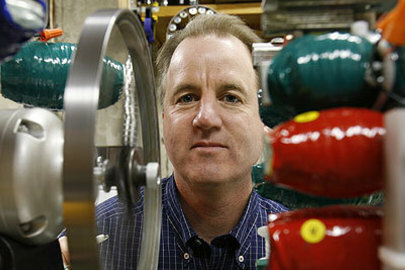 Thane Heins has developed the Perepiteia which was tested by Massachusetts Institute of Technology professor Markus Zahn. Can this machine annihilate the theories of perpetual motion. It’s a pivotal moment. The invention, at its very least, could moderately improve the efficiency of induction motors, used in everything from electric cars to ceiling fans. At best it means a way of tapping the mysterious powers of electromagnetic fields to produce more work out of less effort, seemingly creating electricity from nothing. No charging from the grid. No assistance from gasoline. No cost of fuelling up. No way, say the skeptics. There is something you should know. Heins is not an engineer, suffers mild dyslexia and is a chef. So how could a chef develop something that engineers have been trying to capture for years? But wait, Zahn, who remained sceptical is now stumped. Something about this machine does work and it has critics and observers scrambling for answers. Although he doesn’t use the words “perpetual motion” he is saying that he witnessed with his own eyes something important. Now what that is remains to be seen.